Extremely convenient comparing to traditional manual locking. Secure the instrument neck inside support arm, protects your instrument from dropping of the hanger. this guitar hanger compatible with all types of guitars but it also adapts to your environment, withstanding pressure from all directions. It makes getting guitar up and down easier, more convenient to play. Auto Lock - Lock your guitar Automatically when putting guitar neck on the arm to prevent the guitar from falling. And Automatically released when lifting your guitar. Easy Installation - Only need a screwdriver, directly screwed into walls to hang anywhere. Space Saving - Wall mounting hanger helps you to save more space in your room. Durable Material - ABS and PA66 material give effective protection for your musical instruments. Material: ABS resin plastics(TypeA) / PA66(TypeB). Size : 158 * 99 * 26mm(TypeA) / 153 * 99 * 31mm(TypeB). Net Weight: 100g(TypeA) / 200g(TypeB). 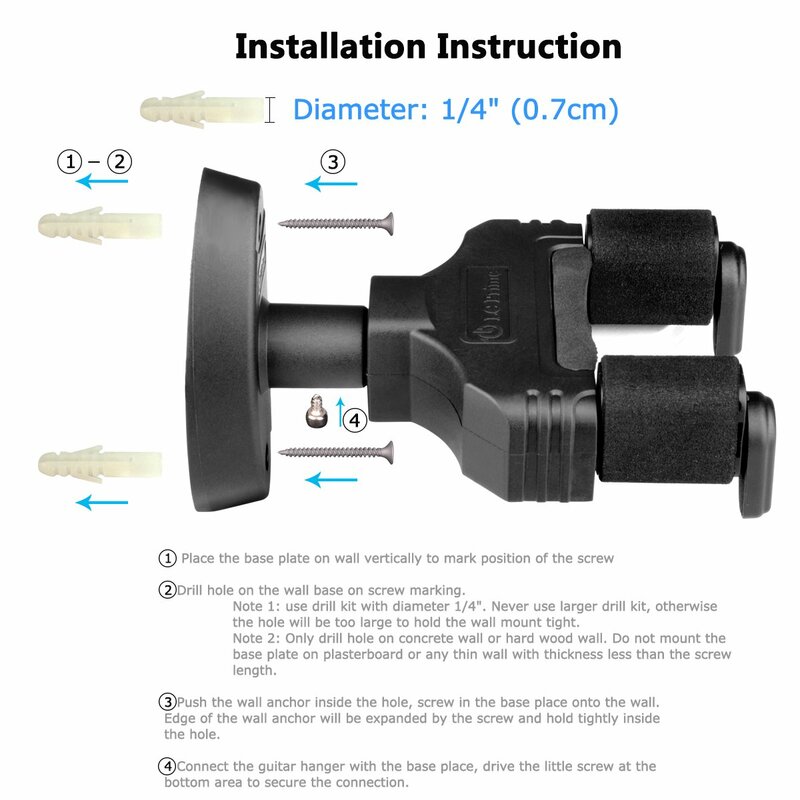 1 x Guitar Wall Mount Hanger.